The mission of the Shawnee Home Builders Association is to serve its members by striving for a successful building environment throughout the Shawnee community. The association is dedicated to an active governmental affairs program with the goal of providing safe and quality housing and the opportunity for home ownership in the Shawnee area. We serve as a pro-active voice for positive planning and economic stability for our community. We strive to be a recognized leader in the building industry and provide our members with opportunities for education, professional development, networking, fellowship, and community involvement. Our meetings are held at the Shawnee Home Builders Cabin, also known as Rosewood Farms. 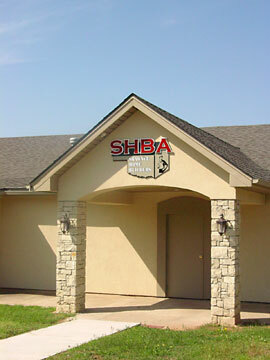 It is located one mile west of State Highway 102 on the Lake Road at 33001 Lake Road, Shawnee Oklahoma 74801. Contact number: 405-273-1671.